Colombia’s former President Alvaro Uribe has not forgotten how now-UN commissioner Ivan Velasquez revealed the far-reaching ties between his family and paramilitary death squads. When Velasquez worked for Colombia’s Supreme Court, he secured the arrest of Uribe’s cousin Mario, a former Senate president, who subsequently was imprisoned for using death squads to coerce voters to elect the Uribe heir into Congress. 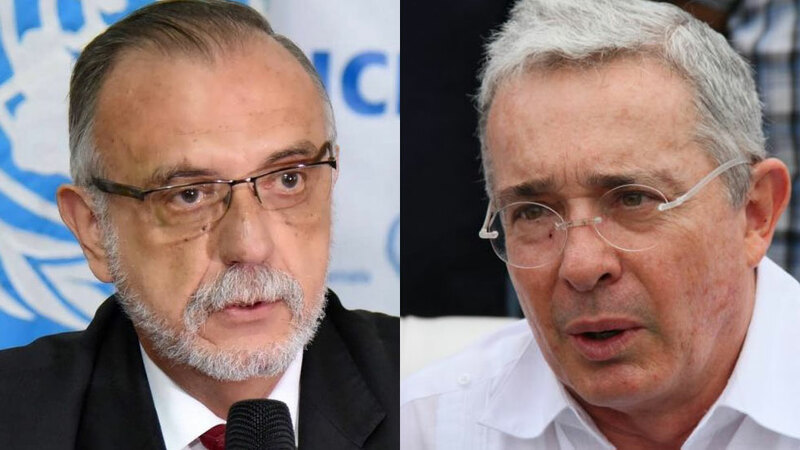 The investigation against Uribe’s cousin was just one of many: Velasquez’ team revealed how many dozens of congressmen and governors, almost all belonging to the coalition that supported Uribe, had received support for the drug trafficking AUC paramilitary umbrella organization. Between 2008 and 2010, the Uribe administration broke every necessary law to prevent the practice of “parapolitics” to come to light, a move that only led to the imprisonment of more Uribe allies. Velasquez and other members of the Supreme Court were illegally wiretapped and Uribe took almost every opportunity to discredit the anti-corruption official. The disgraced Uribe administration went as far as to meet with AUC representatives inside the presidential palace allegedly to frustrate the investigation into the wide-spread ties between his inner circle and the paramilitary death squads. But to no avail. While Uribe’s political legacy went down the drain, Velasquez was appointed the chief of the United Nations’ International Commission Against Impunity in Guatemala (CIGIC). In Guatemala, Velasquez continued doing what he had done so successfully in Colombia: prosecute government officials accused of crimes against humanity and corruption, this time with the support of the United Nations and the United States. Consequently, Guatemala’s former President Otto Perez was forced to resign over crimes against humanity. However, when Velasquez indicated he would also investigate Guatemalan President Jimmy Morales for alleged election fraud, the current head of state tried to do what Uribe had tried without success. Two days after prosecutors announced they would seek to lift Morales’ immunity, he ordered the expulsion of the head of the highly praised UN anti-corruption commission. The decision spurred the rejection of the country’s top prosecutors, anti-corruption activists and the United States. Uribe, however, now longer wields the power he used to wield when he was still in office and paramilitary death squads roaming Colombia’s countryside. The time for impunity in both Colombia and Guatemala seems over, in both countries partly due to Velasquez. While the Guatemalan president is now facing opposition from his country’s judicial branch, the United Nations and the United States, Uribe is facing Lady Justice in Colombia.